Shirodhara is a combination of two words shiro and dhara. Shiro means head and dhara means pouring. Shirodhara brings in several benefits including improved blood circulation to the brain, provides nourishment to hair and skin of head. Shirodhara is very good to cure stress, neurotic tension, migraine, depression, psoriatic disorders, insomnia [sleep issues] etc. Abhyangam means oil massage. 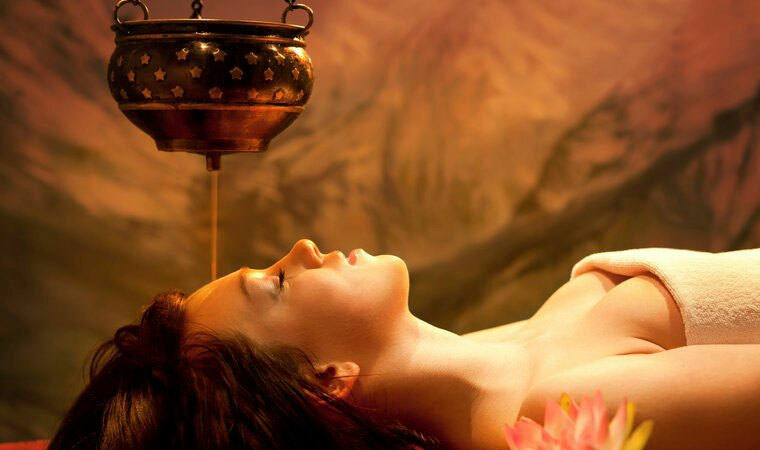 It is a form of ayurvedic treatment in which whole body is massaged with ayurvedic oils. The oil used in abhyangam varies upon season and individual conditions. Abhyangam can be performed as individual treatment or as the first stage of any other treatments in PANCHKARMA.